I often hear now-a-days, the automobile instigated good roads; that the automobile is the parent of good roads. Well, the truth is, the bicycle is the father of the good roads movement in this country. 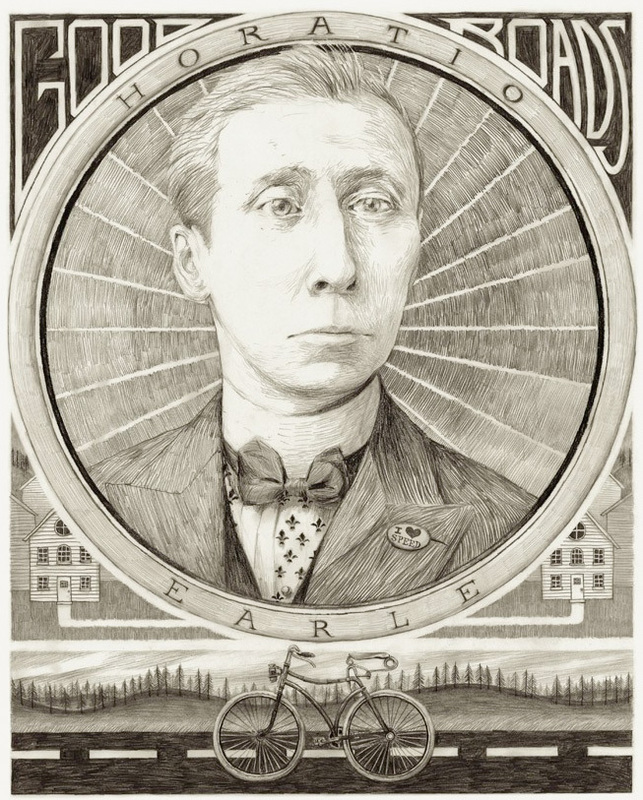 Inspired by antique photographs of people posing with their bicycles, the original Sweet Ride drawings sparked in me an ongoing fascination with the history of cycling, travel and roads, from the Good Roads Movement of Horatio Earle to the epic, sprawling interstate highways we love and hate today. Sweet Ride is now just the beginning of a progressively larger ongoing body of work fueled by these histories.